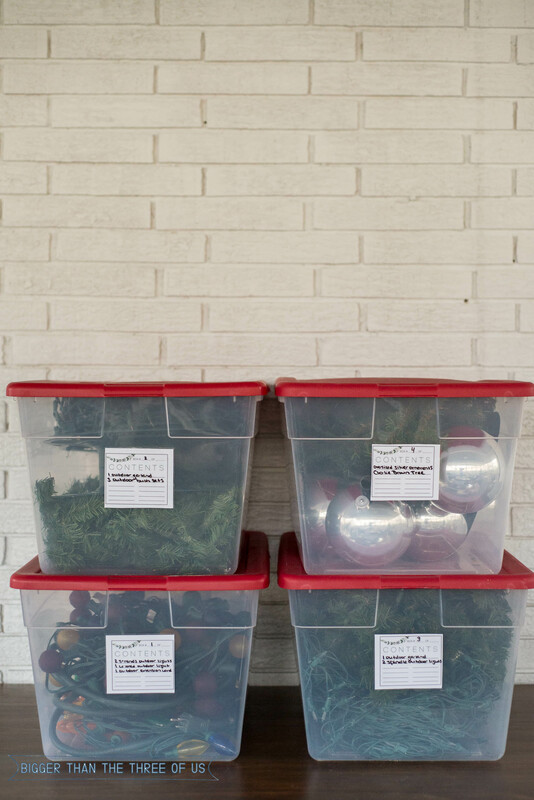 Organized Christmas decor was the dream and I have to say that I definitely upped my game this year with these Free Printable Christmas Storage Labels! I’ve never considered myself to be an organized person; or even someone who really enjoys organization. Could it be that being “middle-aged” has sparked a joy in organization? Ha! Who knows, but I’ve definitely felt a pull the last year or two to simplify and organize. As the Christmas season started to approach, I got to thinking about our storage area (or the lack of storage) and how much of a pain it is to get the Christmas boxes in and out of this small little elevated closet. One thing led to another and I decided to purge some of the decor that was no longer my style and then, somehow, organize the Christmas decor. That led me to thinking about making some printable storage bin labels for Christmas. I hope you love them! Before you get your printable storage labels, there are TWO really fun things about today’s post! The first thing is that this is a blog hop hosted by Carrie over at Lovely, Etc. That means that, not only can you print my free Christmas printable but, you can also print nine other free Christmas printables. The links are below, so make sure to hop around and enjoy the other printables! Second thing is that, I really enjoyed organizing and using these for myself so I want to make sure some of you get to enjoy them as well. I have a giveaway box (enter right below this) and I want to send (5) of you laminated copies of my printable storage labels! I laminated mine and then used a marker on the labels and really think that’s going to work well! 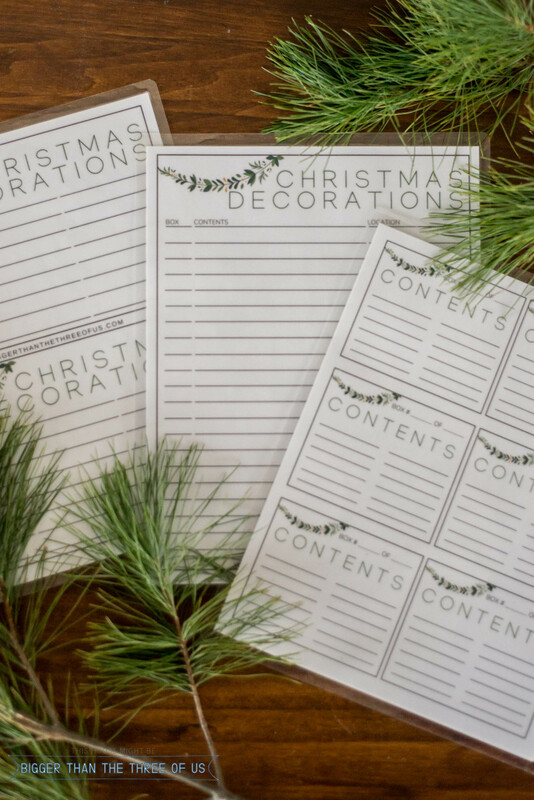 Check out all the other Christmas Printables!